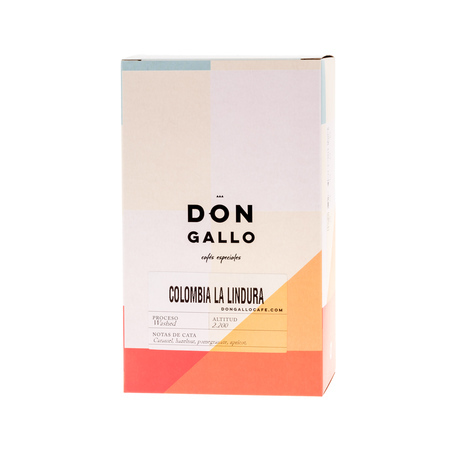 Speciality coffee from Colombia, roasted by Don Gallo roastery from Spain. 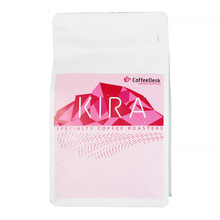 Light roast, perfect for pour-over brewing methods. 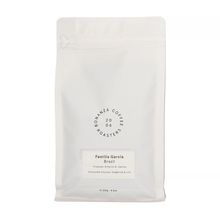 Sweet, with dominant flavours of caramel and hazelnut, as well as some juiciness of pomegranate and apricot. 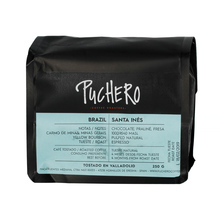 Finca La Lindura is located between Ataco y Planadas, right in the South of the Tolima Mountains. 32 families grow their coffee in this region, proud of every lot they produce with passion and commitment. They keep this tradition despite working in the high and difficult terrains. The temperatures in the region range between 19°C and 23°C all through the year. The area is naturally blessed with glacier waters coming from the Andes and Tolima mountain ranges and rich, volcanic soils. Altitude: 1950 - 2200 m a.s.l.